Kait at @pawlished.kait on Instagram contacted me about doing a mani swap, as I believe this is the second one we've done. This is the first one I've done since I began blogging, so I'll start this off as series 1. 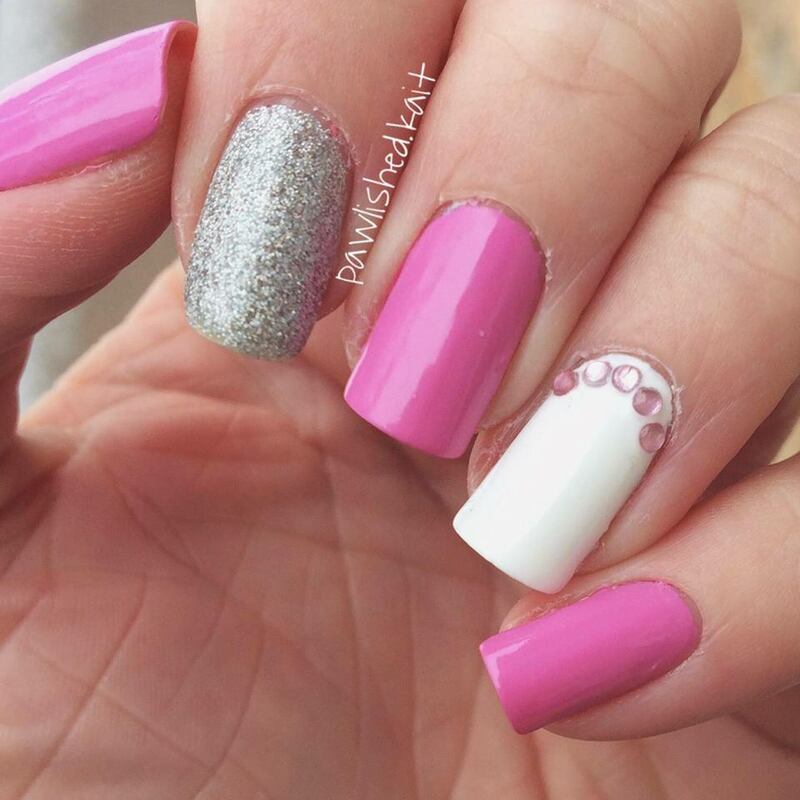 You'll find mani swaps being done on Instagram a lot, and it's a great way to try something new. I don't usually use vinyls, but thought this was a good opportunity to try some out. I hoard a bunch of them, but usually revert to stamping for my nail art. 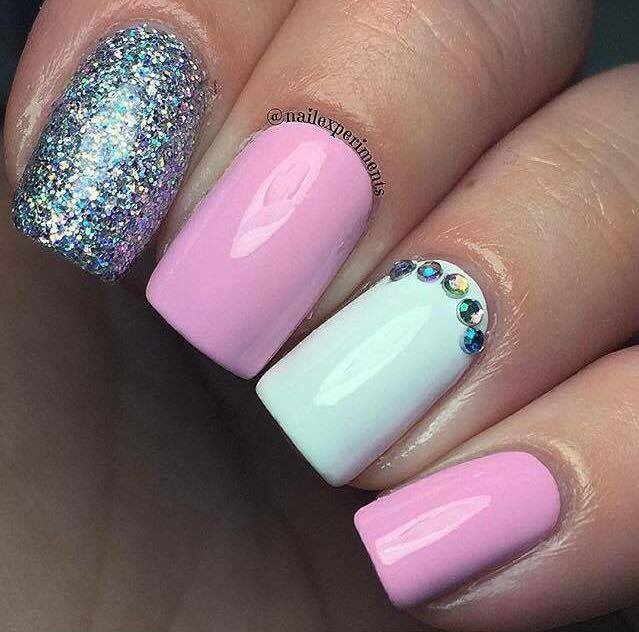 For those of you who are unfamiliar with the term 'mani swap', its basically when 2 people chose to re-create a manicure that another has done in the past. 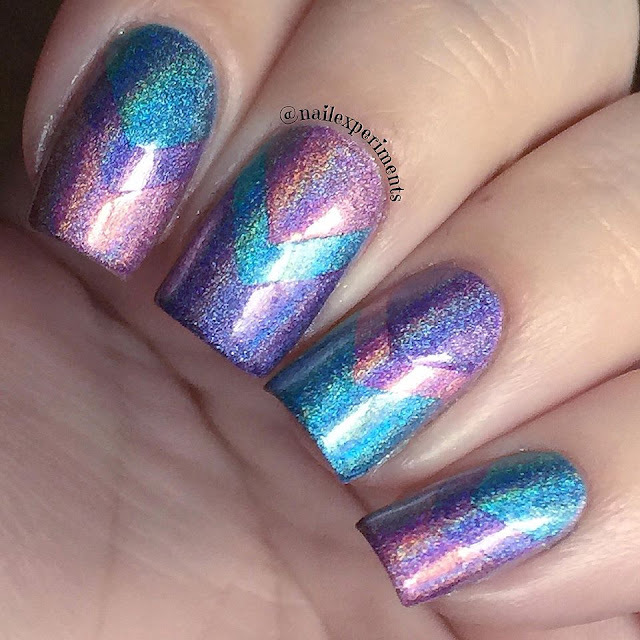 Shown down below is Kait's original mani that I chose to re-create, which is a 3 coloured holo mani using vinyls. I didn't have the same vinyls as her, so I improvised and put my own spin on it. 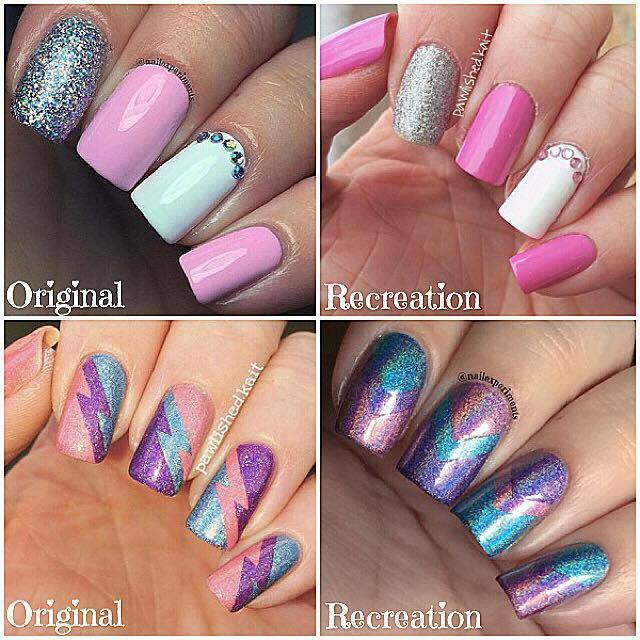 The fun thing with mani swaps is you can either copy the manicure entirely, or put your own spin on it. 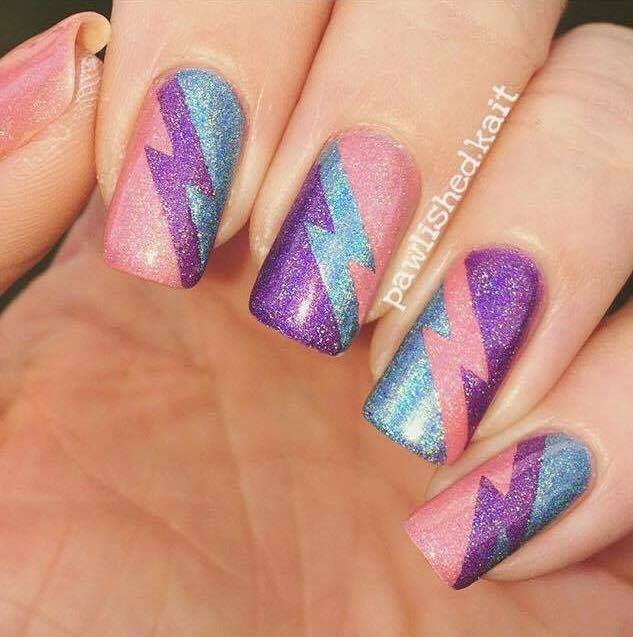 I used right angle chevrons from My Nails Did, and Color Club Halo Hues in; Over the Moon, Eternal Beauty and Miss Bliss.